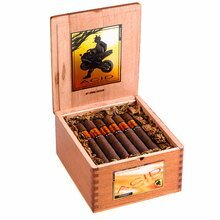 This huge smoke offers you more time to savor the luxury flavor of these specially infused cigars. A secret blend of herbs, botanicals, and oils creates a smoking experience unlike any other. Top notch smoke. As always Drew Estates delivers a fabulous cigar. If you are an infused lover.... GET EM NOW!!!" I've always loved the aroma and taste of the Kuba Kuba. It burns slow and someone always asks me what I'm smoking. This is just not for me. Although well constructed and the taste hints of my grandmothers perfume. I've heard women complement the aroma if thats worth anything to you. What can you say another great infused stick from drew estates. One of the best from tip to but! It's a big cigar. 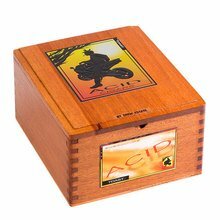 The acid cigars are very unique. The tobacco is flavored, but it's still a good smoke. A great smoke! You will not be disappointed. Nothing against a great constructed cigar. 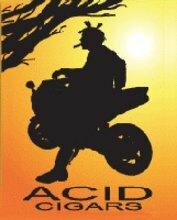 Drew Estate makes great cigars but Acid isn't one of them. They are made well but the infusion of oils are not good.